Need some decoration for your Halloween tree? These printable paper Halloween ornaments are the perfect thing to dress up your Halloween tree, or just to hang around the house during October. 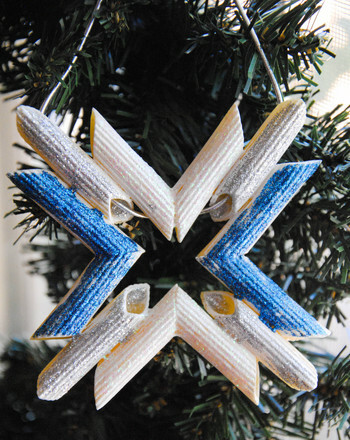 Get creative with your Christmas ornaments, and make your own with these fun printables! Have your little ones help colour and decorate these paper ornaments. The Halloween tree is all the rage right now, so encourage your child to construct this Halloween tree out of paper. Keep your child's imagination alive this Halloween with these Halloween puppets, which come with a puppet theater for full-scale productions. These Halloween cut-outs are a great way to add creepy decor to your house this Halloween. 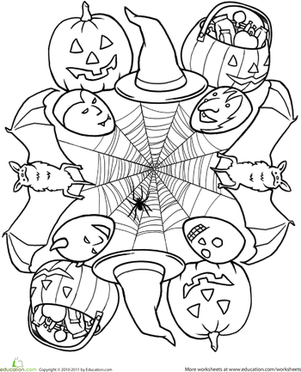 This mandala coloring sheet features Halloween staples that kids love to colour. Make some Halloween bookmarks, the perfect place-savers for your favorite scary stories. 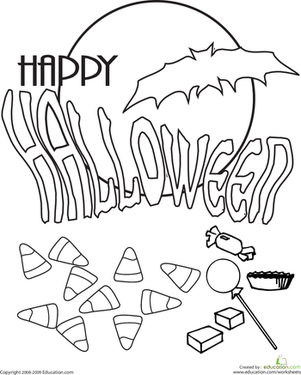 Help your child share Halloween greetings with this coloring page, which features the message 'Happy Halloween." Start your Halloween right with this Halloween bat coloring page filled with skulls, flying bats...and candy! 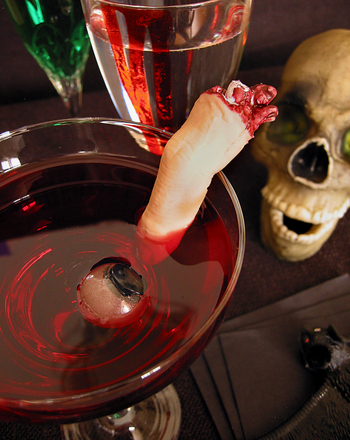 These Halloween drink ideas will get you ready to set up a spooky beverage bar. These kid-friendly Halloween drink ideas are perfect for a spooky party. 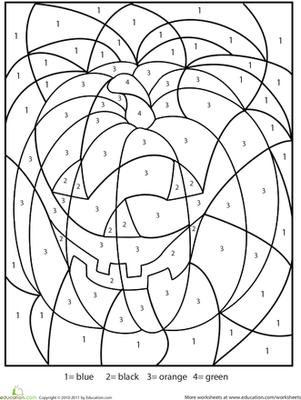 This Halloween colour-by-number worksheet has a spooky hidden picture. colour this Halloween colour-by-number to find out what's hiding in the numbers.